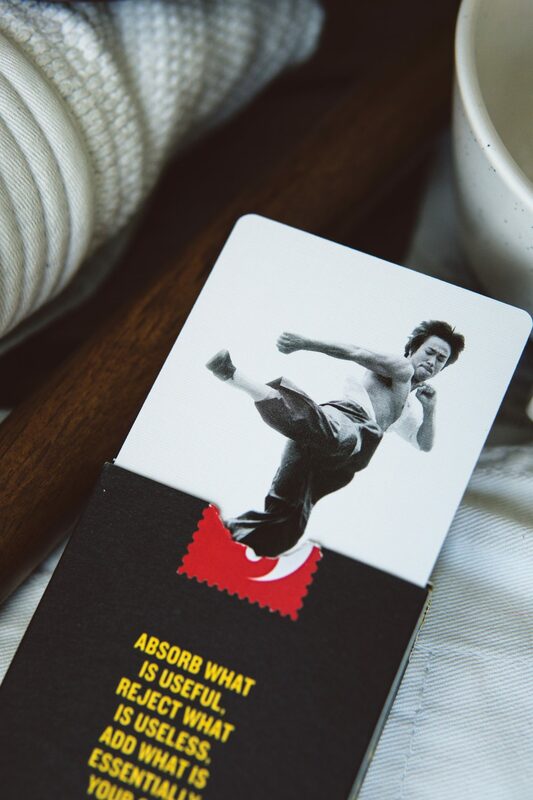 The great master of martial arts Bruce Lee creates the vision for this @artofplay deck of cards. 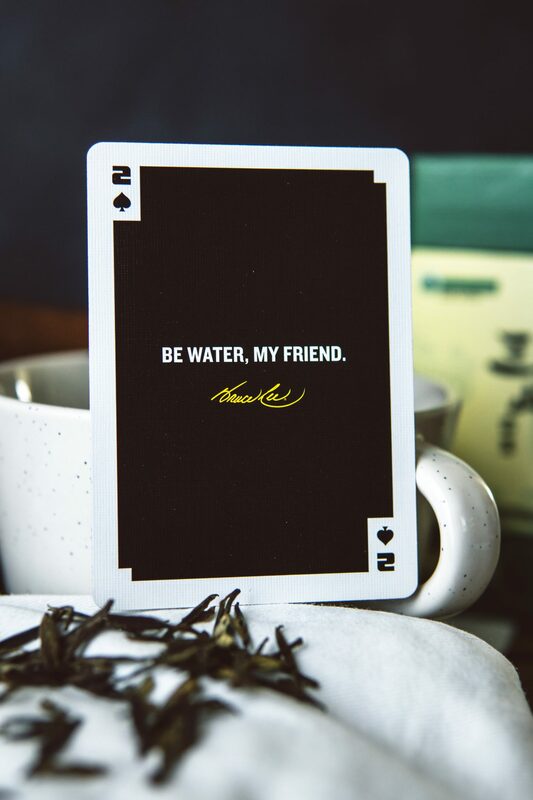 Each card features a quote from the man himself, one for each week of a year. 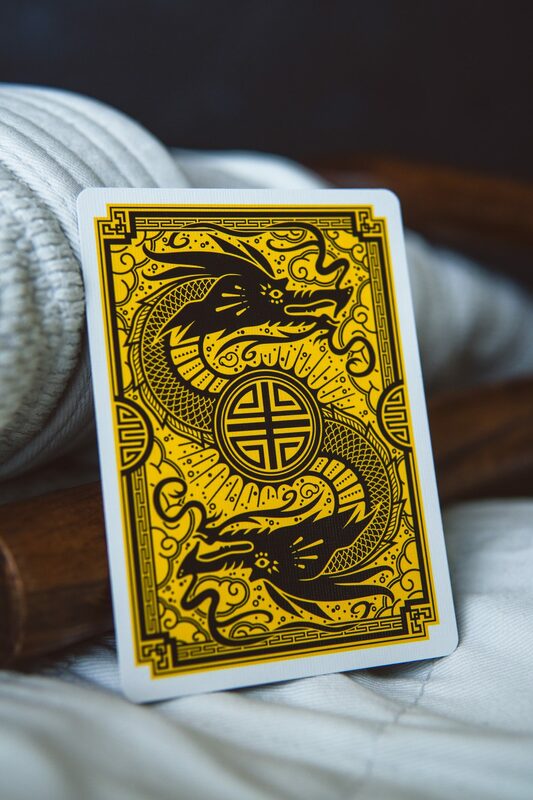 This deck is a tribute to the legend. Creativity can take a lot of different forms. 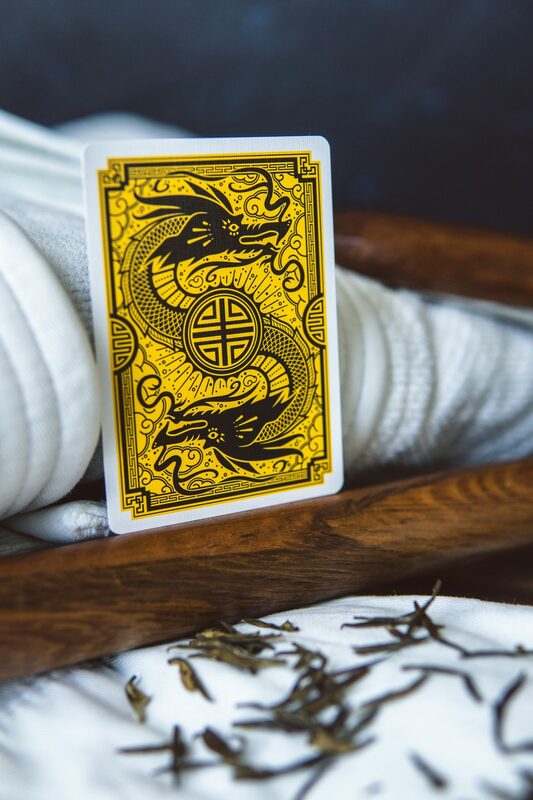 Arts and crafts, painting, photography, cinematography or… martial arts. 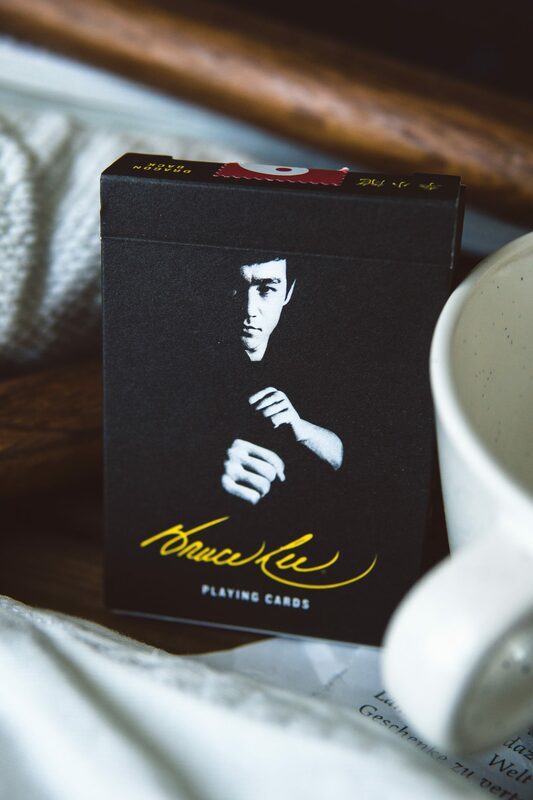 Bruce Lee was an inspiration to many people and as a tribute to this great man, this deck features an incredibly unique and interesting tuck box and back design. 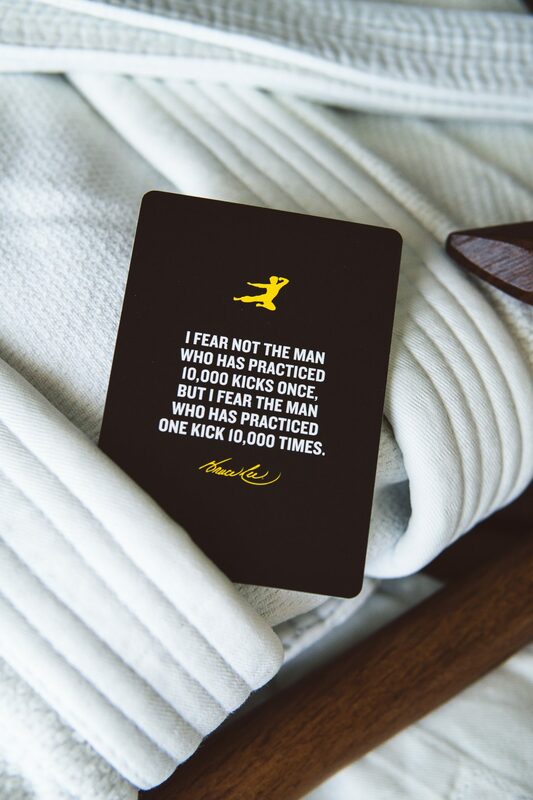 The quotes are pulled from interviews and movies from Bruce Lee and share wisdom for many parts of life. Most of us remember Bruce in black and white movies. This deck puts a twist on this idea. 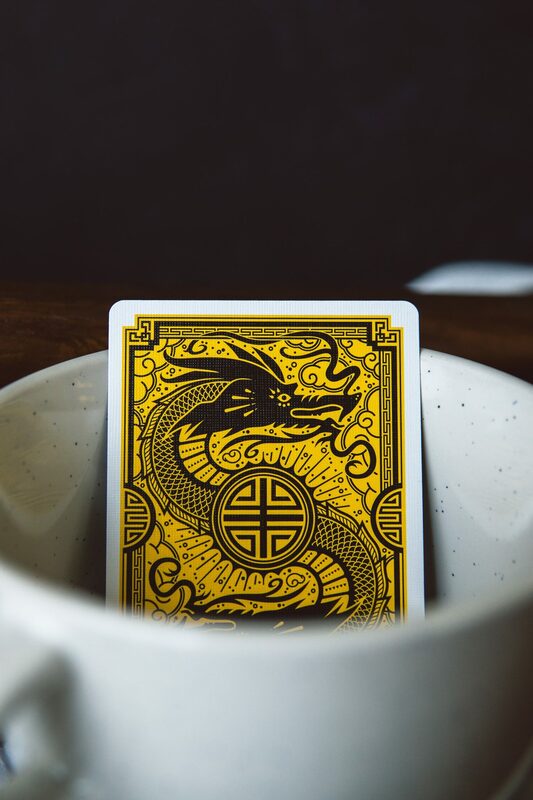 With the primary colors of black and white, this deck adds the third color, a vivid yellow into the mix and spices up the deck through this bright and eye catching color accent. I designed the color palette accordingly so that the muted tones of the props feature green and blue. Together with yellow, they make up an entire half of the color wheel and make for a really interesting combination of colors, putting forth the idea of creativity and breaking rules. 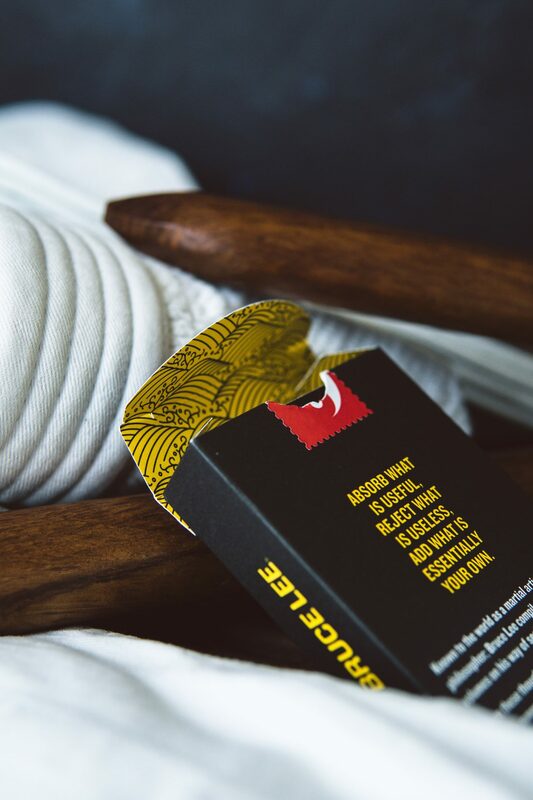 The props for this shooting feature green tea, wooden practice weapons mostly found in martial arts and a traditional martial art uniform.